Back sleeping is often recommended by experts as the best position for a body at rest. It allows your spine and neck to rest in their most natural positions, promotes proper posture in waking states, and slows the development of facial wrinkles. It’s even said to be the best position for preventing aches and pains in the morning — most likely because your arms, shoulders, and legs aren’t bent into contortions beneath the weight of your torso. But even taking all of the above into consideration, the back-sleeper position gets far too little love. Only 14% of people report falling (backward!) into this category. Of those who do, many also suffer sleep apnea or snoring, as lying on your back can cause your tongue to collapse into your airway. And, worst of all, the combination of a saggy, subpar mattress and the wrong pillow can actually pull a back-sleeping body out of its neutral position and sink it in a miasma of stiff vertebrae and sleepless nights. Never fear—we’re here to help you understand what to look for in a new mattress that will support and satisfy you. We’ll give a rundown on our favorite options, what makes them feel so good, and even share feedback from back sleepers who now sleep better than ever. Back sleepers need a mattress that offers support and contour in equal measure, to keep your spine in a neutral position. The support is what holds up your spine and neck, while the contour is what allows your bum and other curvy parts to rest peacefully. Additionally, many back sleepers cite side-sleeping as their “secondary” position, especially snorers whose sleeping partners beg them to roll over. Is this you? If your sleep position changes over time, or you share your bed with another person, look for an even more versatile mattress. Let’s take a look at the kinds of things back sleepers should look for in a mattress. Back sleepers need a mattress that offers support and contour in equal measure, to keep your spine in a neutral position. This is the most important factor to keep in mind when choosing a new mattress. A soft, sink-on-in mattress will put your body in an arch position, and won’t provide you with enough support. But a mattress that tilts too far in the other direction can feel like a concrete slab to a back sleeper—this puts too much pressure on your back and shoulders, so you wake up with aches in the a.m. If you aim for a medium-firm mattress, your lower back will thank you, and you’ll be sure to hit your deep-sleep target. Back sleepers need a mattress that offers a little “give,” with just enough contouring ability to support your body. Inconsistent support will lead to inconsistent comfort and a spotty night’s sleep. 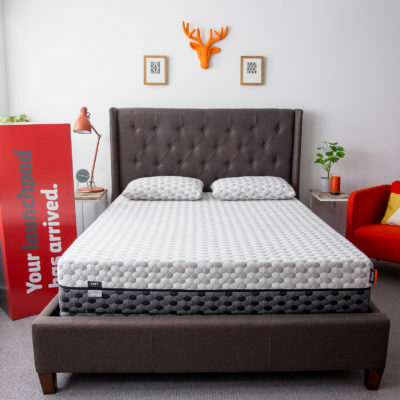 Contour also comes down to your own personal preference – whether you like the feeling of sleeping “in” the mattress and having the mattress hug your body, or sleeping “on” the mattress like you’re floating on its surface. 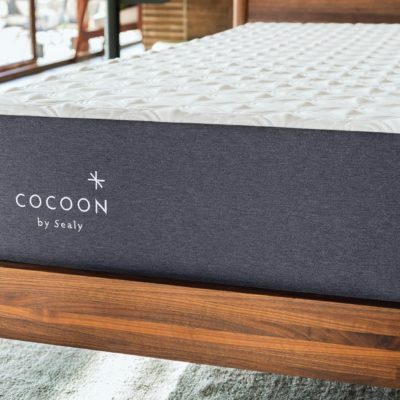 The firmness, contour, and overall support of a mattress—not to mention its comfort level for back sleepers—depends on the materials that go into it. Luckily, most online mattresses offer an in-home trial period, so you can guarantee that the fit and feel is right for you. That said, it’s always best to make an educated decision, so we’re going to examine the materials that make up most mattresses. What are the best mattresses for back sleepers made of? Let’s see what makes the most commonly-used online mattress materials great (or not-so-great) choices for back sleepers. A support system of springy “coils” can easily shape themselves to contour your body, while the materials layered between the coils (usually memory or poly foam, latex, or natural fibers) help support your weight. The pros? A well-balanced, resilient steel coil support system will provide consistent support and firmness. The cons? Support may break down over time, and leave you with saggy spots, even if you rotate your mattress consistently. 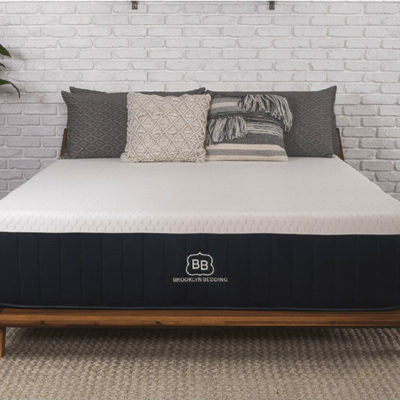 Natural latex (made from rubber-tree sap) and synthetic latex both fall into this category, and any mattress with a latex core and layers can provide both support and comfort. It’s a good, durable, medium-firm material that conforms well to the body, and relieves pressure points. Latex is known for its elasticity, and a latex mattress will bounce back after being compressed. Bonus: the tiny aeration holes punched into the material will help keep you cool at night. Both these foams are great at conforming to your body’s contours and removing pressure—which is why they’re so popular. 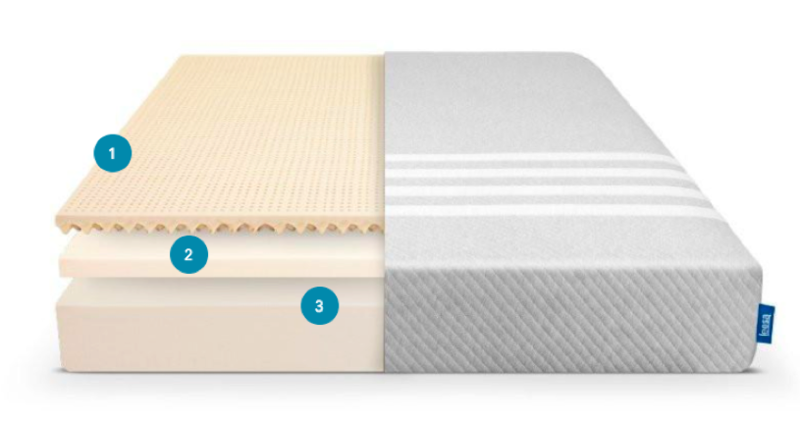 Many mattresses use a combination of higher-density support foam and lower-density comfort foam layers, which provides a consistent, medium-firm foundation for back sleepers. 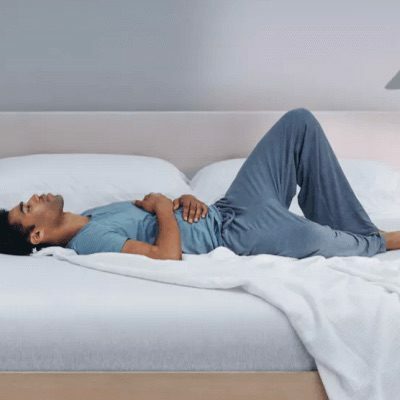 The elasticity of memory foam provides great bounce-back, so as soon as you roll over or get out of bed, the mattress returns to its original position. 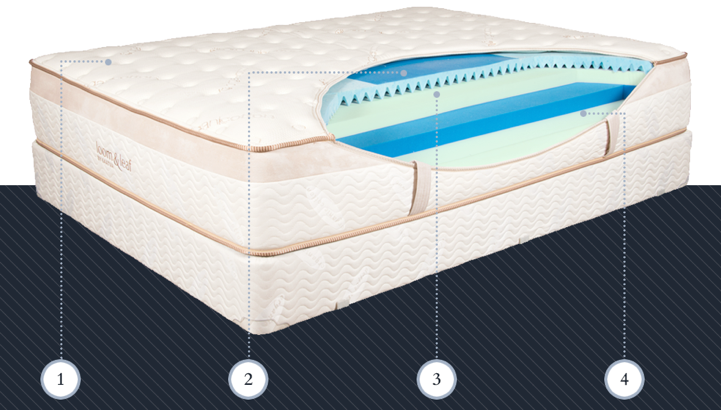 Many modern mattresses, even those with inner springs, also contain a memory foam top layer. 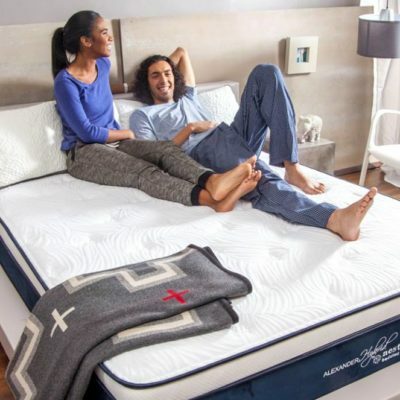 If two or more inches of memory foam are in an innerspring mattress, it’s called a “memory foam hybrid.” The success or failure of these kinds of mattresses depends on how much foam (and what kind) makes up that top layer. Back sleepers should look for hybrid mattresses that provide a medium-firm feel, with comfort layers that prevent back sleepers from sinking too deep. 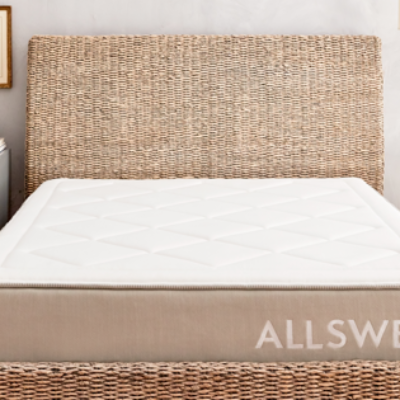 Below we’ve highlighted our top mattress picks for back sleepers. If you want to read more about a particular mattress brand, we’ve got you covered in the next section. You may notice there’s no #1 pick — and that’s because we know that everyone is different, has individual preferences, and is looking at different price brackets for the best mattress possible. So take a look at things like the materials, rating, reviews, and price to help you decide. And remember — seeing (and feeling) is believing. That’s why we’re only reviewing mattresses here that have a trial period of at least 100 nights. And free returns, since hassles are a pain in the neck (and the back). Leesa’s perforated top layer (Avena® foam) promotes airflow and breathability, ensuring that your body heat won’t get trapped while cradling your pressure points. If you’re a back-and-side sleeper, you’ll notice the Leesa’s cradling technology supports your body in both positions. “I certainly like the change in sleeping since purchase of the Leesa mattress. I use a fit bit tracker most of the time and that device monitors both resting heartrate and sleep patterns. Since using the leesa mattress, my resting HR now averages ~ 55 BPM vs 62 BPM before. My HR monitor also records sleep disturbances and times awake during the night. Sleep disturbances and “awakes” have also been significantly reduced, all thanks to leesa.” – Robert B. 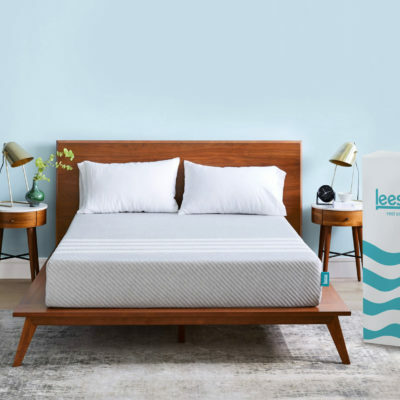 Setup: The Leesa mattress comes compressed, rolled and boxed. You will simply unbox the mattress, unroll it on your foundation, and wait for it to expand. You can also refer to this how-to guide from Leesa. 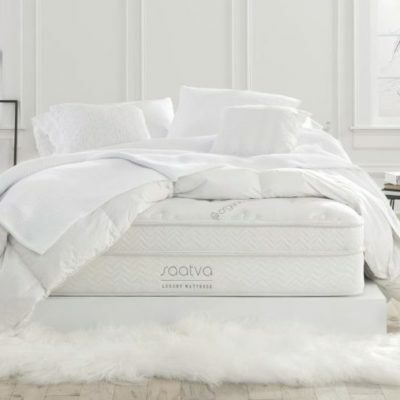 Loom & Leaf marries comfort and support in a way that encourages proper contour without the sinking feeling often found in a memory foam mattress. The top foam layer therapeutically molds and contours to your body, filling in the natural gaps and arcs to create healthy spinal alignment. Available in “relaxed firm” (the flagship comfort level) for just-right support, and “firm” for sleepers who like a very firm feel. Loom & Leaf’s’s proprietary Spinal Zone Gel layer provides optimal spinal support and a cool night’s sleep. “Hank & I have been together for just over 6 months, and it really has been #loveatfirstsleep. He is firm, but at the same time soft. I miss him whenever I am away. I am basically Goldilocks, and Hank is just right. (By the way, Hank is my Queen, relaxed Firm bed. Yes, I love my mattress so much, that I named him.) 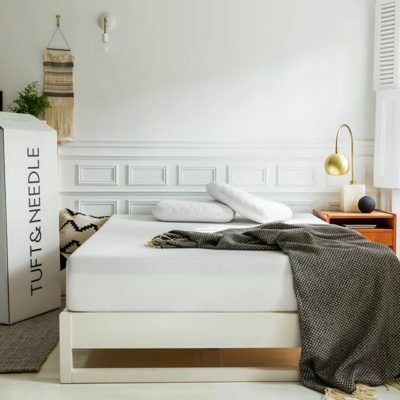 I see a chiropractor regularly, and the bed has helped wonders!” – Charlotte T.
Delivery/Setup: Delivery of the Loom & Leaf mattress can take up to 15 days, but it comes with free white-glove delivery and set-up. Loom & Leaf will also remove your old mattress at no cost if you have one to get rid of. Foundation: You’ll want a flat surface to place your Loom & Leaf mattress on. If your box spring/foundation is in very good condition, meaning it’s sturdy and isn’t sagging, it should work ﬁne. Return policy: If you decide the Loom & Leaf isn’t for you during your 120-day trial period, it can be returned for a full and prompt refund of the purchase price, less a $99 handling fee. Loom & Leaf also offers an adjustable base called The Lineal ($1,399 for queen), and an additional foundation or stationary frame. 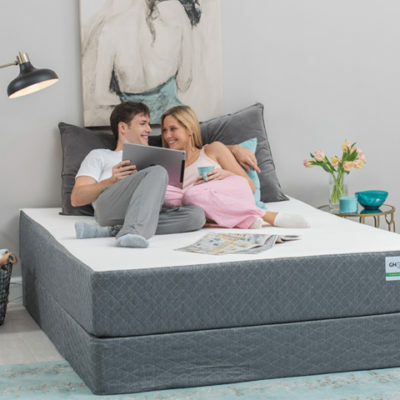 Novosbed was designed as an alternative to high-end hybrid mattresses for those who prefer an all-foam feel and support. It’s a thick mattress (11”) and rates highly in terms of motion isolation, making it a great choice for couples. Novosbed also offers the ability to modify the firmness level by adding an extra level with the Comfort+ system, which is a great boon for back sleepers who tend to notice small differences in firmness more than other sleepers. Delivery: Novosbed ships free to the Continental US and Canada and typically arrives within 2-6 business days. 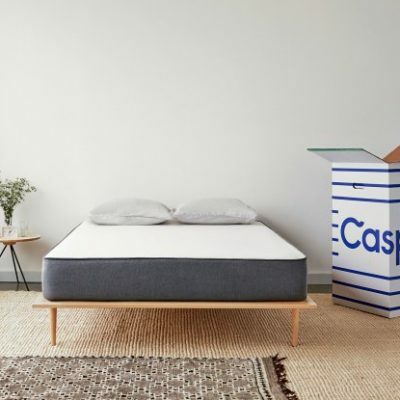 Setup: The Novosbed mattress comes compressed, rolled and boxed. You will simply unbox the mattress, unroll it on your foundation, and wait for it to expand. Foundation: Novosbed recommends using a solid base or platform, such as a platform base, box foundation, or slatted foundation. Return policy: If the mattress isn’t the right fit for you, returns are easy and free within the trial period window (120 days) ―they’ll arrange to have it picked up and you’ll receive a full refund. Novosbed also sells their own foundation made of durable North American pine ($219 for queen) which is designed to be easily assembled in 20-30 minutes, with hardware included. 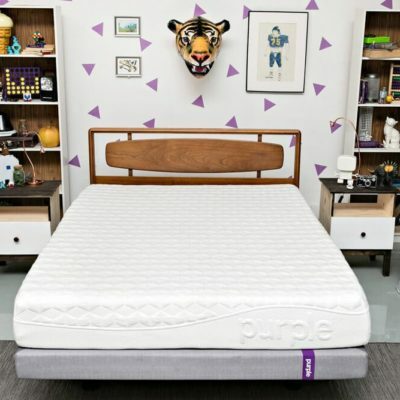 Although Purple mattresses score high for all sleeping positions, its pressure-releasing layers help your spine maintain its natural curve in the back-sleeping position. The Purple mattress has great point elasticity, which makes them easy for you and a partner to share and enjoy. That means it will collapse where needed without affecting the other parts of a mattress. A traditional inner spring, by contrast, has low point elasticity. While the top Smart-comfort Grid layer conforms to your, know that it’s not designed to “hug” your body like memory foam does. If you’re addicted to that memory foam embrace, this mattress will love you in its own way, but not that way. This is a supportive mattress that makes you feel like you’re “floating,” but you don’t sink into it. Instead, it does a really good job of addressing specific pressure points and collapsing as necessary. 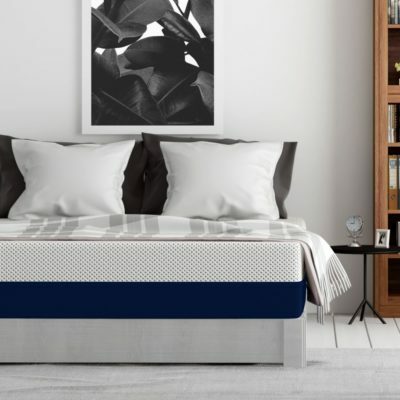 The Medium firm mattress (their most popular) is recommended for back sleepers (and occasional side sleepers) who want a slightly firmer, more supportive mattress. It also works great for couples with differing sleep styles. The Firm mattress feels strong and supportive, with just enough flexibility to alleviate pressure points. It is recommended for back sleepers who prefer sleeping on a firm surface. Too many back pillows can undo all the good you do for your body by laying on your back. If your neck is too elevated, you’ll wake up with pain. So don’t double them up. Try for a thinner pillow. Or, try no pillow at all―roll a small, soft towel and place it under your neck, so the back of your head still rests on the mattress. And pillows aren’t only useful for your head. If you’re looking to position your body for ultimate weightlessness, lie on your back, and place a soft feather pillow under each arm. You can also place a pillow under your knees to increase spinal alignment. Check out our pillow guide for more tips on selecting the perfect pillow. Do you snore? Back sleepers often do. If this describes you, ignore the above pillow tip, and try doubling up thinner pillows or using one thicker pillow to elevate your head and keep your tongue from relaxing too far (and causing all that noise). Memory foam pillows do a good job of keeping your head in the right place. If you’re pregnant, your sleep habits are about to change, and not just from those fluttery kicks inside. As your baby grows inside you, you’ll feel the increased pressure from the baby’s weight on your internal organs every time you sleep on your back. According to the American Pregnancy Association, the best sleeping position while pregnant is “SOS”―sleeping on side. The good news? Your body likely will turn over naturally if you feel internal discomfort. Also, sleeping on your side with a pillow between your knees (or with your arms and one leg around a maternity pillow) will make you feel even better. 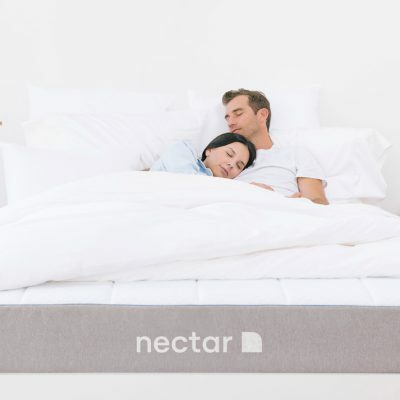 Back sleepers: you deserve a reward for taking care of your spines, and of course, a mattress that will help you get kind of sleep that refreshes, renews and revitalizes your body. 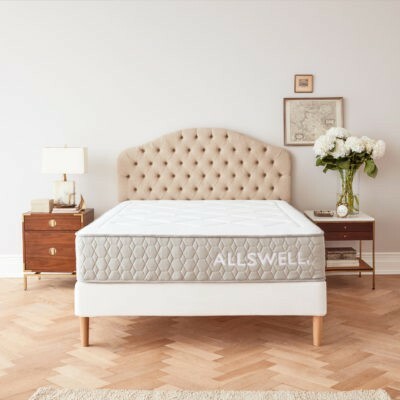 If you still have questions or have a favorite mattress that supports your back-sleeping habits, let us know in the comments below.